Dorado ([doˈɾaðo], Golden) is a town and municipality in the northern coast of Puerto Rico (U.S.), 15 miles (24 km) west of San Juan and is located in the northern region of the island, bordering the Atlantic Ocean, north of Toa Alta, east of Vega Alta, and west of Toa Baja. Dorado is spread over five barrios and Dorado Pueblo (the downtown area and the administrative center of the city). The town is regarded as a tourist destination with golf courses, hotels, and beaches. However, many locals would dispute this claim. It is part of the San Juan-Caguas-Guaynabo Metropolitan Statistical Area. The Dorado Airport was operated from 1942 to 1996. The airport began as a military landing strip, then became a civilian airport in the 1960s with Caribair and Dorado Wings flights operating until 1980 and 1982 respectively. The airport operated as a private landing strip throughout the 1980s and then fell into disrepair. In 1996, the airport was rezoned as residential land and redeveloped. 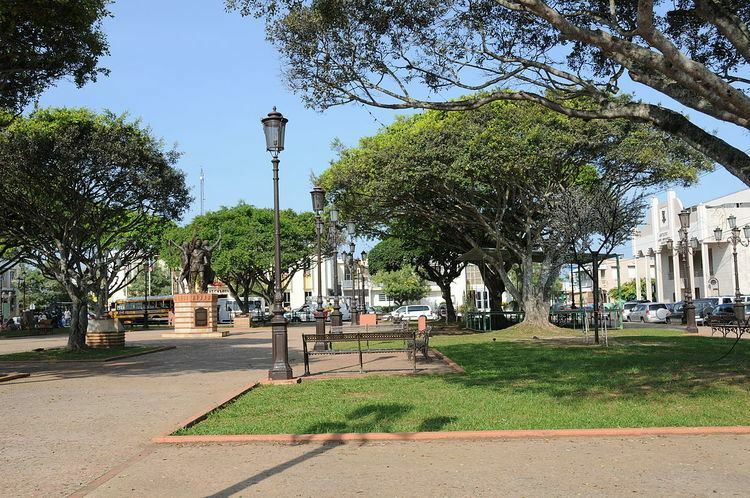 Dorado has upscale neighborhoods and a small downtown area with a plaza (Spanish town square), as other Puerto Rican municipalities. The town's patron saint is Anthony of Padua, and patron saint celebrations are held at the plaza every year on June 13. During the early years of the 18th Century, there were already mentions of a "Sitio de Dorado" in some San Juan registers. Since the beginning of the Spanish colonial period and until 1831, Dorado existed as a barrio (or ward) of the town of Toa Baja. 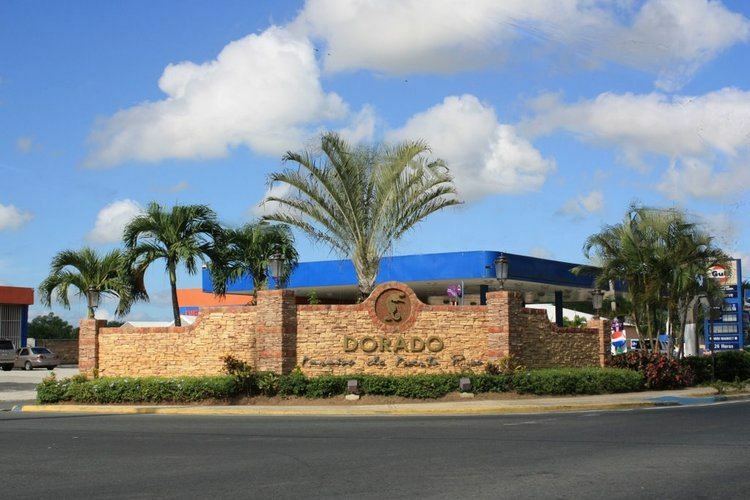 Over several years, the ward grew and established its own town center called the "new pueblo" to differentiate itself from Toa Baja, which became known as the "old pueblo." Over several years, the wards that currently make up Dorado grew and the people of the "new pueblo" wanted to separate themselves from Toa Baja. On November 22, 1842, Jacinto López Martínez, the Sergeant at Arms for the ward of Dorado, petitioned the Spanish Governor of Puerto Rico, Santiago Méndez Vigo, to establish the municipality of Dorado. The governor authorized the founding of the town pending the construction of public works, including an administrative building and a church near the town square. In 1848, the construction of the public works were completed and López Martínez became the first mayor of Dorado. In 1902, four years after the Spanish–American War, Dorado was again appended to Toa Baja. However, in 1905 it regained its status as a separate town. The 2nd G7 summit was held at the Dorado Beach Resort between June 27 and 28, 1976. Much of Dorado's geology consists of alluvial and coastal/estuarine sediments of Quaternary age and limestones of Tertiary age. The limestones are mostly in the south part of the municipality, in Espinosa, Maguayo and Rio Lajas Wards. These limestones exhibit mature karst topography of great beauty. It has been subjected to extensive quarrying, which have left unsightly scars in the landscape. Some local communities have gathered efforts to minimize quarrying and improve land management to protect the remaining karst topography and the fauna and flora that lives in it. Rivers: Río Cocal, Río Lajas, Río de la Plata, and Río Nuevo. Dorado's climate is very hot in the summer months and warm in the winter. Temperatures range around 60 °F (16 °C) to 80 °F (27 °C) in the winter and 75 °F (24 °C) to 95 °F (35 °C) in the summer. Dorado is divided into eight barrios. In recent years, Dorado has been known for its development of upscale neighborhoods. Several known politicians and artists (e.g. Ricky Martin, Carlos Romero Barceló) live or own properties in the city. In the early 20th century the Rockefeller family purchased plots of land in the northwest region of the municipality of Dorado where they built a huge private vacation compound. Laurance Rockefeller would later use this land to create Dorado Beach Hotel and Golf Club, which later became the Dorado Beach Hyatt Hotel which closed in 2007. Dorado Beach Hotel became a Ritz Carlton hotel in 2012. Dorado has long been known as a golf haven. 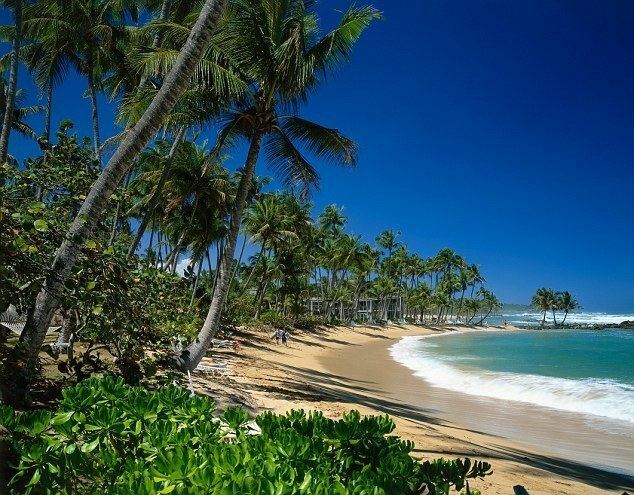 Its tourist industry includes the Dorado Beach Resort(Ritz-Carlton Reserve & Plantation), the Hyatt Hacienda del Mar, and Embassy Suites in the Dorado Del Mar neighborhood. As of 2014 there are three operating golf courses in the municipality, the Dorado Beach East Course, the Plantation Sugarcane Course and the Plantation Pineapple Course. The Dorado del Mar course closed in 2014. Some of the places to visit in Dorado are located downtown. For example, the Museum Casa del Rey is the house built in most towns controlled by Spain during their colonization, which was intended for the King and Queen to stay if they visited. The museum includes several artifacts from the era. There's also the Distinguished Doradeños Plaza, and the Juan Boria Theater. The last one was recently reopened after a long period of restoration. Some of the most visited beaches in Dorado are Sardinera, Kikita and El Unico are other beaches frequented by surfers. The Ojo del Buey Park is a park located at the base level of the La Plata River. The name comes from a rock formation that has the shape of an ox. Dorado also has a church called the Sanctuary of Christ of the Reconciliation, that has the third largest statue of Jesus Christ in the Caribbean, inside its temple. Dorado's Fiestas Patronales are held in June. Other traditional festivals held at the city are "El Carnaval del Plata" which is celebrated in the beginnings of February and the "Cocolía" Festival which is celebrated in the end of June/beginning of August, etc. Dorado has their very own Double A baseball team called Los Guardianes (The Guardians) and it's still one of the main places in the island to play golf or tennis. Dorado is the site of several industries dedicated to the manufacturing of clothing and medical equipment, among others. Companies like Boston Scientific, Pfizer and Heraeus are among some of the ones located in the city. Dorado's population has steadily increased during the past century. The current population, according to the 2000 census, is of 34,017 with a population density of 1,479.0 people per square mile (568.8/km²) more than doubling the town's population of 17,388 in 1970. 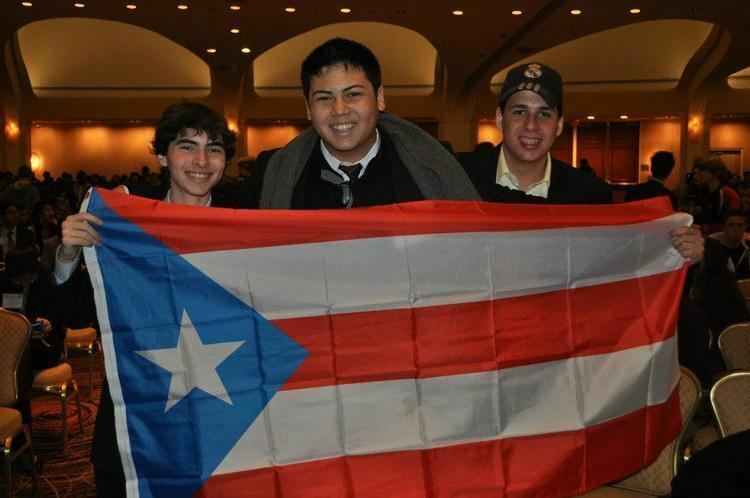 As a whole, Puerto Rico is populated mainly by people from a Creole (born on the Island of European descent) or Spanish and European descent, with small groups of African and Asian people. Statistics taken from the 2000 census shows that 74.1% of Doradeños have Spanish or White origin, 12.2% are black, 0.5% are Amerindian etc. All municipalities in Puerto Rico are administered by a mayor, elected every four years. The current mayor of Dorado is Carlos López Rivera, of the Popular Democratic Party (PPD). He was elected at the 1992 general elections. The city belongs to the Puerto Rico Senatorial district III, which is represented by two Senators. In 2012, José "Joito" Pérez and Angel Martínez were elected as District Senators. The flag is composed of three stripes of equal width: the upper and lower stripes are golden, and the center one is brown. A brown, equal-sided triangle is placed with its base at the hoist. The crown is gold with brown windows. The three towers mean that Dorado is a town, a properly constituted municipality. Underneath the crown, there are five disks that form a Tau. Dorado has several public and private schools distributed through several regions. Including TASIS, Dorado Academy, New Testament Christian Academy of Dorado, and Public education is handled by the Puerto Rico Department of Education. José S. Alegría is the public High School, located in the town center. Ricardo Arroyo Laracuente is the Middle School 7th through 9th Grade. In the town next to the town square is the elementary School named Jacinto López Martínez. Jacinto López Martínez – Elementary school and first school building to be founded in Dorado. It is over a hundred years old and still in use and one of the biggest schools. The Jane Stern Dorado Community Library, founded in 1974, is Puerto Rico's first public bilingual library. Recipient of a 2008 National Medal for Museum and Library Service. Dorado's main health facility is a Center for Diagnostic and Treatment located at Road 698. The facility is prepared to handle emergency cases, but severe cases are transferred to bigger hospitals in nearby towns like Bayamón or Manatí. Puerto Rico Highway 22 provides access to Dorado from the far away city of Mayagüez, or from San Juan. Road 165 also provides access from Cataño and Bayamón bordering the shore to the Atlantic Ocean. It takes approximately 30 minutes to reach the town from San Juan. Like most other towns in the island, it counts with a public transportation system consisting of public cars. Taxis are also available around the town. There's also a public trolley system around town and a shuttle service for handicapped people.